It seems today that many people have the impression that gardening is hard work and not an easy hobby to have. In reality, it’s all in how you look at it. You can make it as easy or as complicated you want to. When “gardening” comes to mind for some, they think of spending a lot of time planning, planting, caring for and maintaining their plants, which results in a lot of time and work. This type of gardening works for some people, as they view it as an enjoyable and a relaxing hobby. For others, that type of gardening just doesn’t fit into their already busy lifestyle. However, there are some trends for this upcoming season that are the perfect solution to make gardening easy for the modern gardener. If you are looking for something that provides instant color, yet is easy to maintain throughout the season, Patio Pots are exactly what you’re looking for. 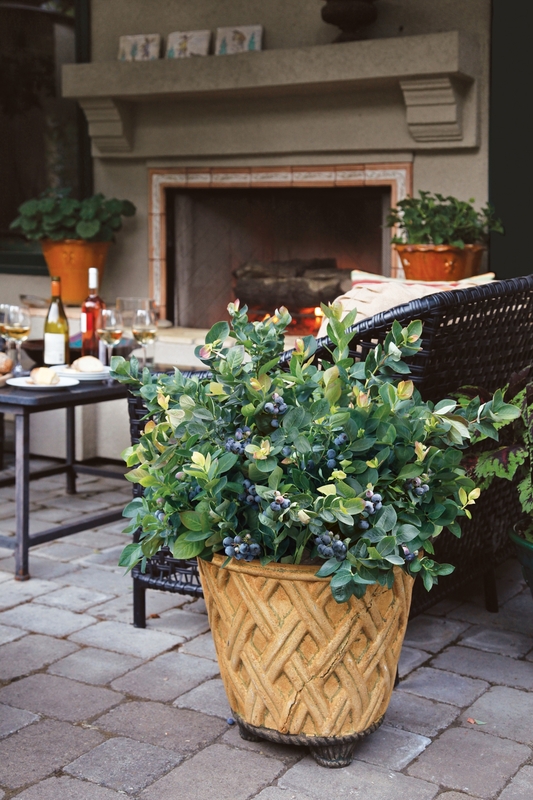 Patio Pots traditionally mix different types of annuals to create a colorful combination that can be placed anywhere. The only care considerations that need to be made are basically lighting and watering. Even better, Patio Pots are ready and available to purchase throughout the season, leaving the work up to us. Bring your Patio Pots back each season: spring, summer, fall and winter, so we can change them out to give your patio or front porch a fresh look. One of the new trends for this season involves rethinking the traditional patio pots that have only annuals. Mixing in perennials or even edibles gives patio pots a unique feel that those visiting your home will love. Locally grown edibles are another huge trend for the season. Many of the vegetables and vegetable plants we offer are grown here on-site. Personally, I like knowing where my food is coming from. As a result, for the past two years I have been planting my own vegetable garden. I choose plants that I know will produce a lot without requiring a lot of maintenance. Whenever I need a fresh tomato for a salad, I simply go outside and pick one. The flavor and freshness doesn’t even compare to tomatoes purchased in a grocery store. If having a full-size garden seems like too much, container vegetable gardening works well too. 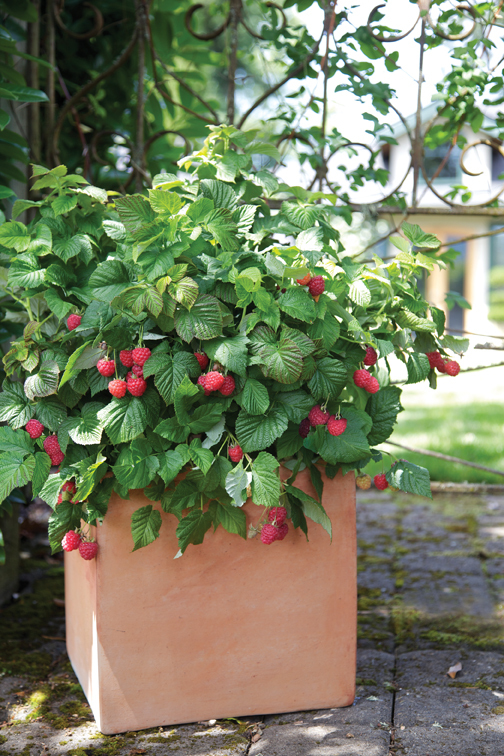 Many edibles can be planted in containers, just like annuals, including fruits. We carry a new line of blueberries and raspberries, called BrazelBerries, which are grown specifically to stay small so they can be grown in containers. 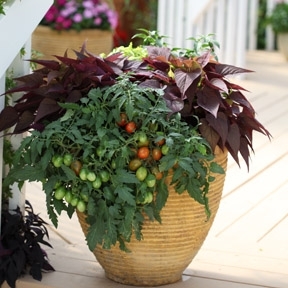 Not only do they produce delicious fruit, they are easy to grow and look great on porches and patios. Another type of edible that flourishes in containers is herbs. Planting herbs in containers makes it super convenient when you need to add a little extra flavor when cooking. Also gaining popularity is using indoor plants to help clean the air in your home. In addition to indoor plants being relatively easy to care for, they bring a little bit of the outdoors in, providing instant beauty and helping to freshen the space. As an added bonus, they help to purify the air in your home, creating a cleaner indoor environment. These three trends are just a few ideas that make gardening easy. They allow you to take advantage of all the benefits plants have to offer, but in a way that doesn’t require a lot of time and effort. Do you usually plant patio pots? Are you a vegetable gardener? Have you tried vegetable container gardening?